Iphone diaries didn't die yet! It's still here, I am just (as always) SO BAD at taking pictures on my phone. Whenever I'm out doing something remotely fun, I keep my phone in my bag and just forget about it! So I basically have to mentally remind myself to take some pictures so I can remember these things, dangit! Iphone diaries is never complete without a selfie. So HI. Just me and my 33 weeks of pregnancy selfie. 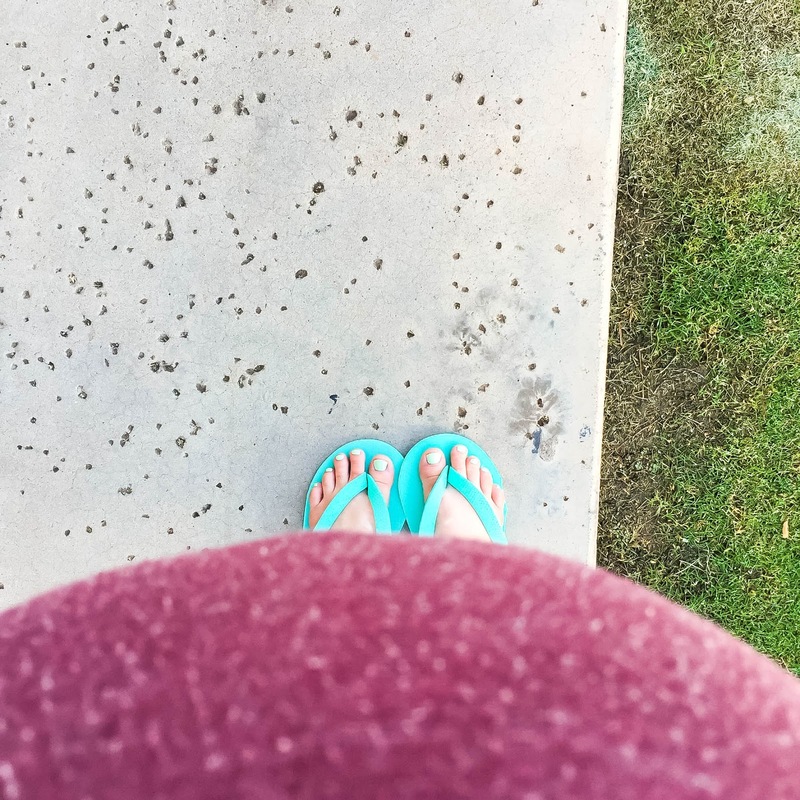 Pregnancy acne on my chin has been tricking me. It clears a little and then flares and then just does whatever it very well wants. Basically just accepting it at this point. Sup puberty! ps necklace is from here if you were wondering! These notebooks. They're the cutest things I've ever written on. They are pretty much an s/o to my high school career of drawing ALL OVER my notebooks/ notes/ binders/ everything. Teachers loved me for it (well... not really because they never thought I was paying attention to them. oops. ps I totally was) All of these notebooks from Denik have covers that are HAND DRAWN from artists all over the world. 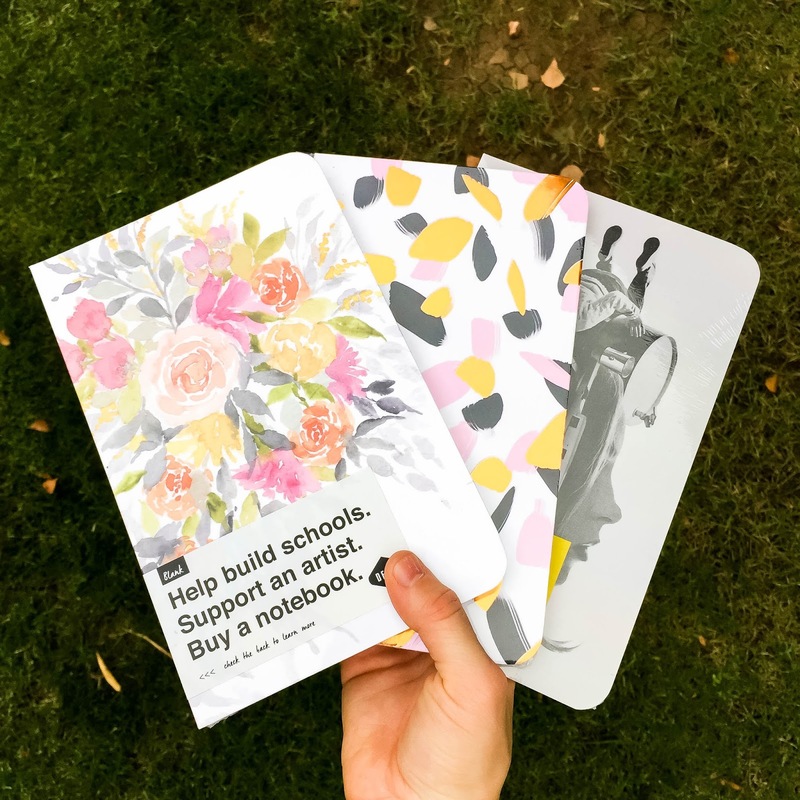 Then every notebook sold helps build schools and support the artists! I just thought that was really cool and hit home for all of my sketchbooks that are sitting on the bookshelf filled with the things I thought up! 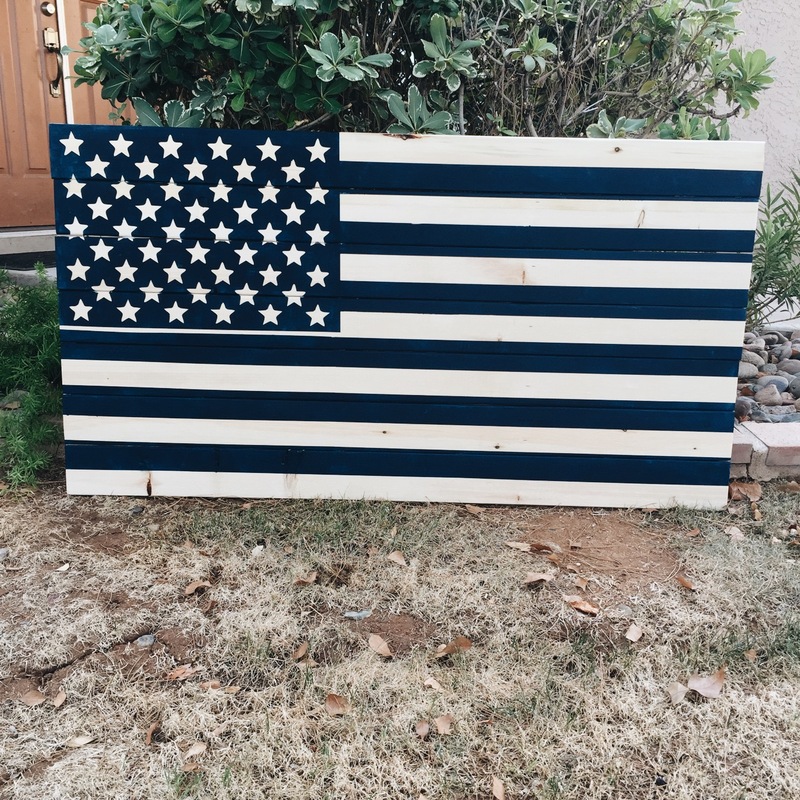 Someone requested an American Flag sign and I just thought it turned out really neat!! I was kind of dreading it (thinking it would be really hard to do) but it ended up being pretty dang simple after all! The only picture we took on Father's day. It was Jason's first father's day (technically) so it had to be documented. Here ya go. My toes are still visible so we good. This was after a pedicure and I'm a weirdo and I wear those disposable flip flops home because if i don't I am 99% sure I WILL mess it up and I'm too scared to go back and ask them to fix it. 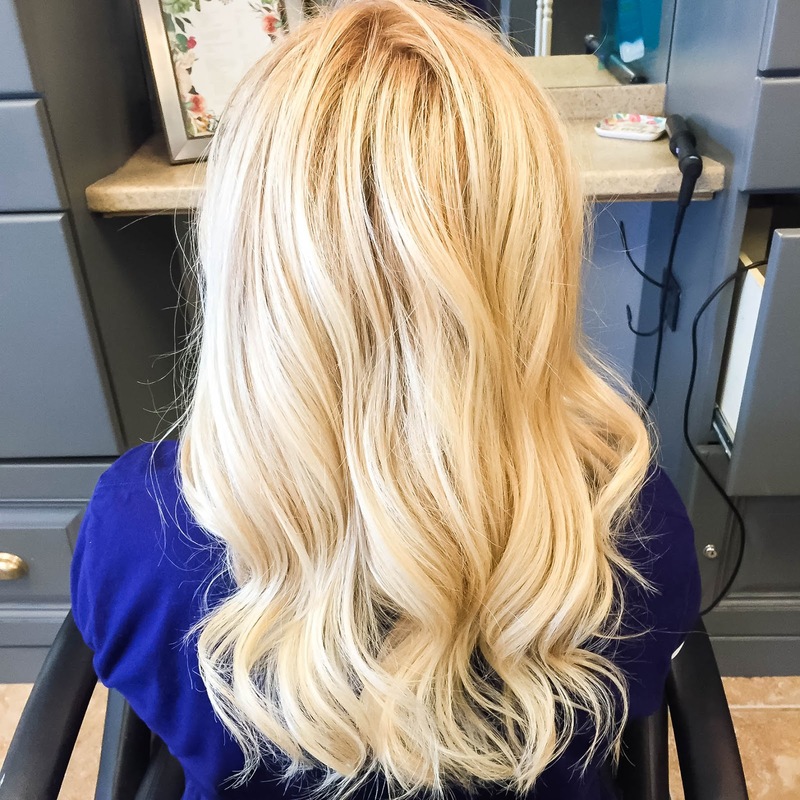 I got my hair done last week! I always just say "go blonder!" and she does. 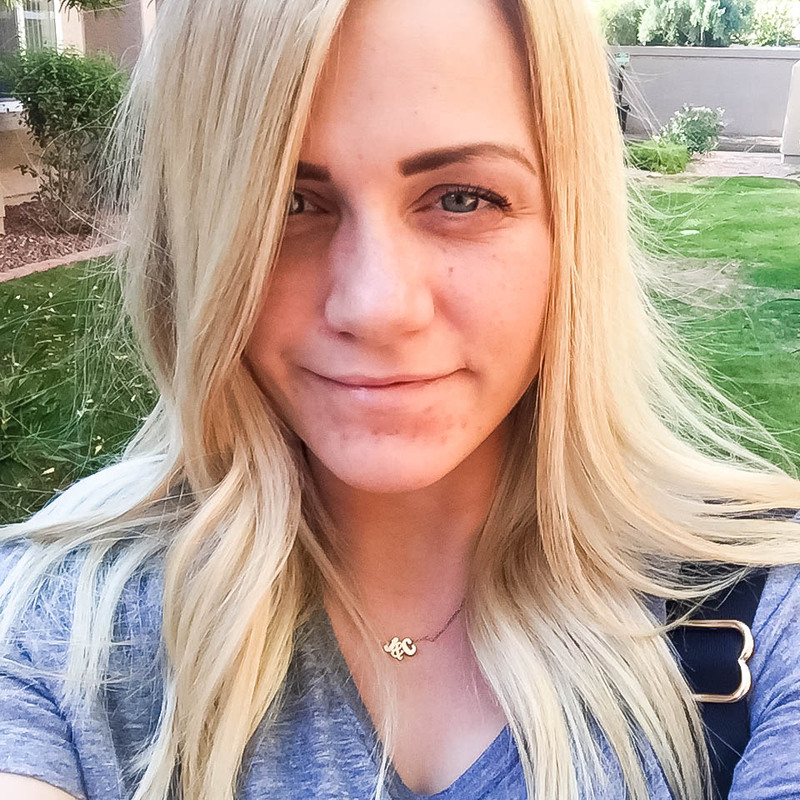 Jason's sister does my hair at her salon and if you are in AZ, GO TO HER. She is amazing. I'm obsessed with all things baby girl over here (clearly) Sign made by me and these leather bows (that are only $3.00 by the way!!) are from Krazy K Paper co! 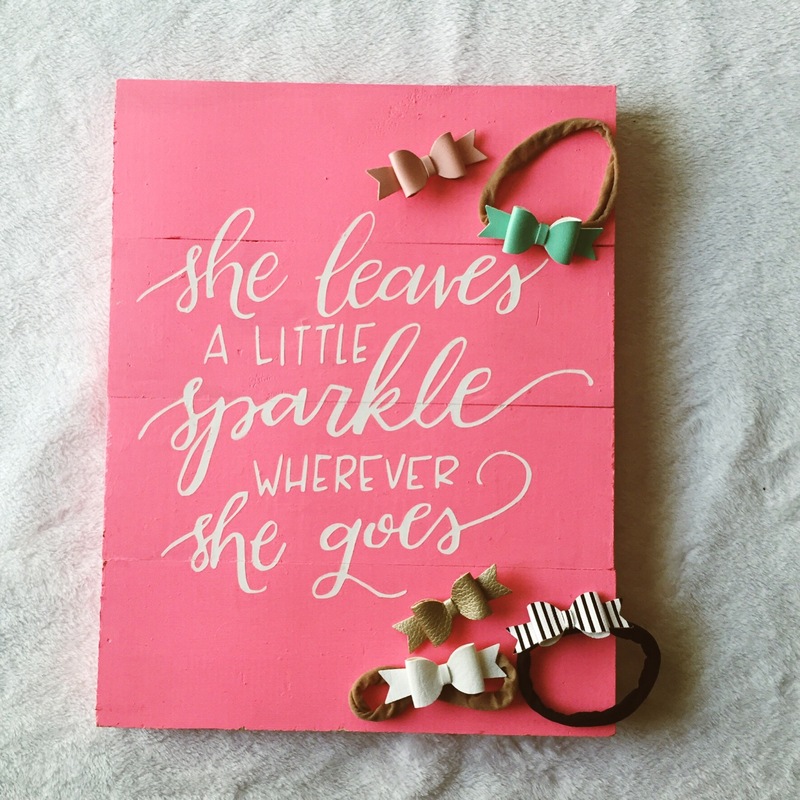 I have been stocking up like crazy on bows and headbands and I am so excited for baby girl to get to wear them finally. 6 more weeks!!! Love this iPhone recap!! So cute!! 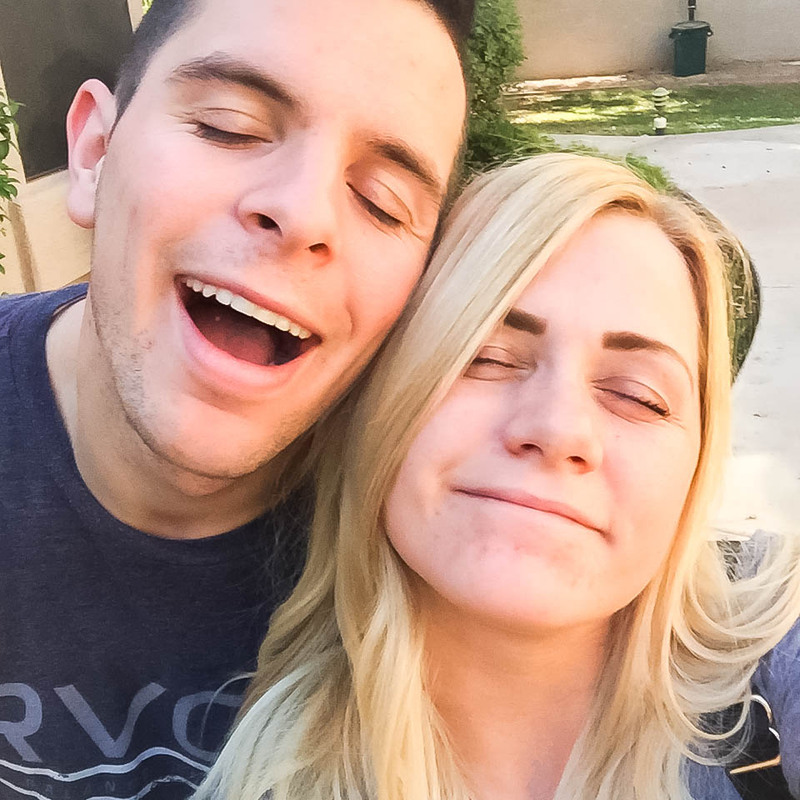 The picture of you and Jason on Father's Day is hilarious!! And your hair looks soooooo great!! Obsessed!! haha!! Hope you have great and safe weekend! your hair is beeeeeautiful! as if your face :) Look at that belly trying to pop over those toes! Thank you!! I always want to go lighter and she did perfect!! LOVE your hair! That iPhone case is super adorable! Super impressed with your American flag! Thank you!! I am a little obsessed with glitter so it was perfect for me haha! Best feeling ever is having fresh hair done and no roots!! haha I totally agree! I always wear the disposable flip flops home from a pedicure too. Your hair looks beautiful and I love that fun phone case! Yay I'm not the only one!! haha and thank you so much!! That Kate Spade case is so cute and the flag turned out so cute! Thank you Kelly!! I need to make myself a flag now! I love this update/ instagram round up! PS your hair is gorgeous!! Love your new phone case! 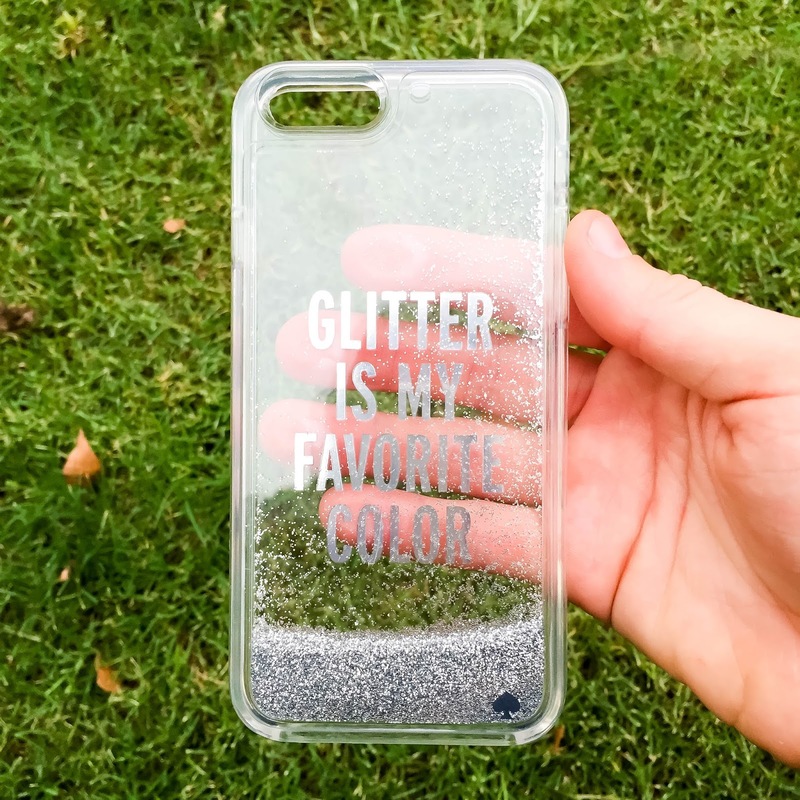 Totally pro glitter! :) And your hair looks awesome, girl! Look at all that volume! And such a pretty blonde color! And I love your obsession with all things girl right now. That sign is SO cute!